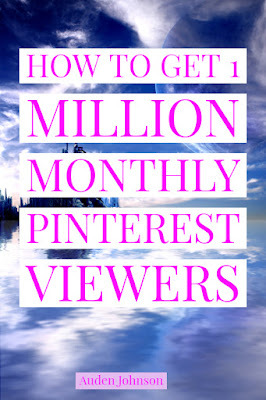 Not too long ago, I noticed my Pinterest account gets 1 million monthly viewers. This isn’t like Twitter where I have 4,000 followers but only like 5% of people visit my blog. Pinterest has been magic for my blog. It's not perfect. I still have a lot to learn. Certain posts do better than others and I haven't figured out why yet. I know the image plays a part. I've been going through my posts and changing some of the images to make them more Pinterest friendly. It worked well for this post. This hasn’t translated into book sales yet. At least, not a lot. You can't really tell with book sales, though. Maybe it is leading people to my books and I need to change something on the sales page. So, what does it take to get 1 million monthly viewers on Pinterest? I’ve been active on Pinterest for about 6 years. 1 million viewers did not happen overnight. It didn’t suddenly jump every couple of days. This was a gradual growth that happened over 6 years. I'm not saying it's going to take you that long. It might take awhile. I find Pinterest to be easier to use than other networks. Sites like Instagram and Twitter require you to comment and like other people’s posts. You don’t have to do that on Pinterest to get more engagement. It’s pretty much, pinning a lot of articles and leaving it. I search for people to follow mostly to get an idea of the kinds of boards I can make. Pinterest is fun. It's also a way to collect and organize all my research materials. If I'm looking up something for my story, I save the article to the book's Pinterest board. In general, Pinterest has some useful guides and infographics. I've found some good marketing articles there. 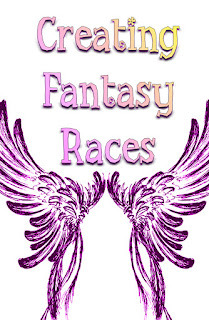 Becuase of this, the site has been seamlessly added to my writing process. No extra work. Chrome has a Pinterest button you can add to your toolbar. If I find an image or article useful to my story, I just click that little button and save it to a board. Saves a lot of time. Since Pinterest's feed is all images, you need good ones to attract attention. I keep getting different opinions about the best size. Some say 600 x 900 while other says 735 x 1102. I tend to use 735 x 1102 but I'll be trying the other one. Try both and see which one works. Spend some time on the site to see what kinds of images work. This image did all right even though it's not tall. Each of my books has a board filled with research material. This could be fantasy and sci-fi images. It could also be useful articles. For The Sciell's Legacy, most of the world lives in darkness. I need to research the physical and mental effects of seeing a limited amount of sunlight. Also, as the world has ended, people need to find different ways to tell time. I'll research articles on that and pin them to The Sciell Legacy board. I also have boards for things like house ideas. No matter the story, my characters will need some place to rest or live. Since I tend to write apocalyptic stories, I need to know how characters can find and prepare food. I have a board about finding and managing food for when you need to live off the grid. A lot of my boards have fantasy and sci-fi in them. Some of my boards could apply to other genres but I want to attract people interested in fantasy and sci-fi. So the food board is called Fantasy and Sci-Fi Food. I’ve mentioned this app a couple of times. It's part of the reason my account does so well. Tailwind is a Pinterest scheduler, like HootSuite. I used the free version for awhile and liked the result. I didn’t switch over to the paid version and my account suffered. My views and engagement went way down. Now, I pay for it. The app is $14.99 a month. Like all social media, people want to get to know you. Outside of book-related things, I have boards for Anime, Nerdy Stuff, Landscape Photography...things that interest me. I'm actually surprised by Pinterest. You'd think Twitter and Facebook would be better at driving traffic. I guess they can be but Pinterest is so much better, at least for me. It's always been one of those sites I use with little thought to marketing. Maybe that's the thing. Find a social network that's fun for you.